According to recent headlines, there’s a new threat to the most American of pasttimes — Super Bowl snacking — and it’s a looming shortage of hot wings. But there’s no need to panic. “We have plenty,” says Kessler Guthrie, owner of wing-famous Flamin’ Joe’s. It’s their busiest day of the year for to-go orders, he says, and they’re offering a 100-wing special with a free side order of waffle fries. (Lots of people order Super Bowl Sunday, but it’s a good idea to order at least a day in advance.) They order wings in bulk when the price is lower, Guthrie says, so that keeps the price down for consumers. Elsewhere, The Tailgater confirms the 50-cent wing deal will continue this year, just like last Super Bowl, along with “a lot of swag drawings” and other celebratory specials. This whole food crisis may sound familiar to bacon aficionados — last summer, a reported bacon shortage, dubbed “Aporkalypse,” threatened all kinds of favorite snacks and sandwiches. The panic turned out to be intentionally incited by Britain’s National Pig Association, but it drew attention to the very real problem of rising feed costs worldwide. The alleged chicken wing crisis comes from the same drought crisis that affected a huge swath of the U.S. last year — chicken farmers had to scale back the number of birds they raised because of soaring feed prices. That means 12.3 million fewer wings for football fans to consume this Super Bowl, the National Chicken Council concluded, or a decrease of about 1 percent from last year. 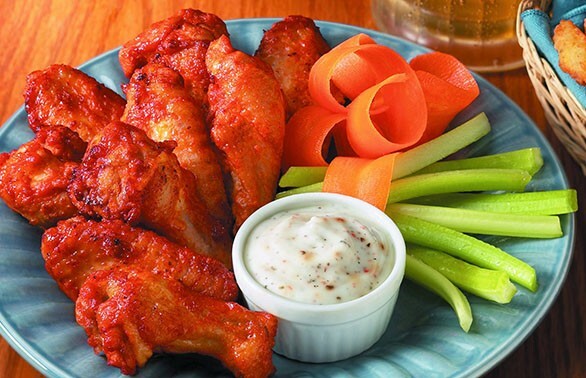 Their report has a lot of other great nuggets about chicken wings, like the favorite dressing (ranch, preferred by 57 percent of wing-eaters) and how wings and football first got paired together (good timing). In other festive chicken news, Spokane’s own Uncle Dan’s will be the primary dressing supplier in the Super Bowl of wing-eating, held each year in Philadelphia. It will be bleu cheese dressing, which the National Chicken Council reports is most popular in the Northeast.